Finding a Book is more than just walking into the Library…. First of all, all the public Library wants to be the first stop digitally or physically in your search for reading and resource material (Remember…we’re FREE!) and we know you have choice. 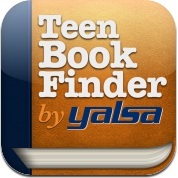 Here’s an app which is available for both Iphones/Ipads and Android users. 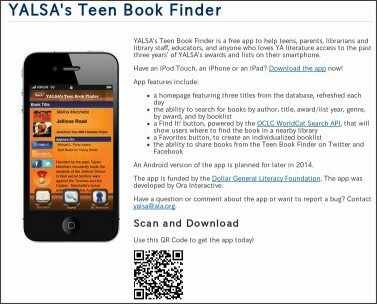 The Young Adult Library Services Association, a subgroup of the American Library Association, provides the service app. Another resource for those of you who are seeking, seeking, seeking because there is SO MUCH out there. I have just downloaded it myself so will share more about my experience as the days wane on. Try it. Tell me what you think.